Elegance, refinement and just a hint of naughty! The Miche Tereasa Shell for Prima lovers ranks highly on the chic meter and features sophisticated styling; and because it's Miche, you can indulge yourself without the guilt. 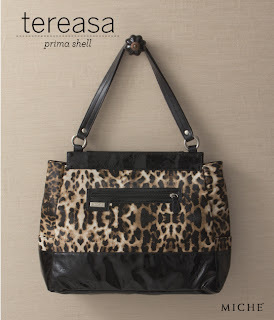 Leopard print faux leather with high-gloss black patent detailing and roomy front zippered pocket.